THE ONLY ON-SITE REAL ESTATE BROKERAGE LOCATED INSIDE OF BLACK DIAMOND. IT IS MY PRIVILEGE TO ASSIST YOU WITH BUYING OR SELLING YOUR HOME IN THE BIG, BEAUTIFUL, BLACK DIAMOND RANCH. Beautiful Black Diamond home on golf course & across from par 3 course. NEW: Furnishings, furniture and golf cart included. Gourmet kitchen:granite, stainless appliances & designer cabinets. Spacious: 3 bedrooms, 3 baths, office/den use as 4th bedroom, formal dining & great room with gas fireplace & custom bookcases. Pool/spa enclosed by privacy wall with elevated sitting area & extensive covered outdoor living area with summer kitchen adjacent to pool. Optional social memberships available for purchase also. 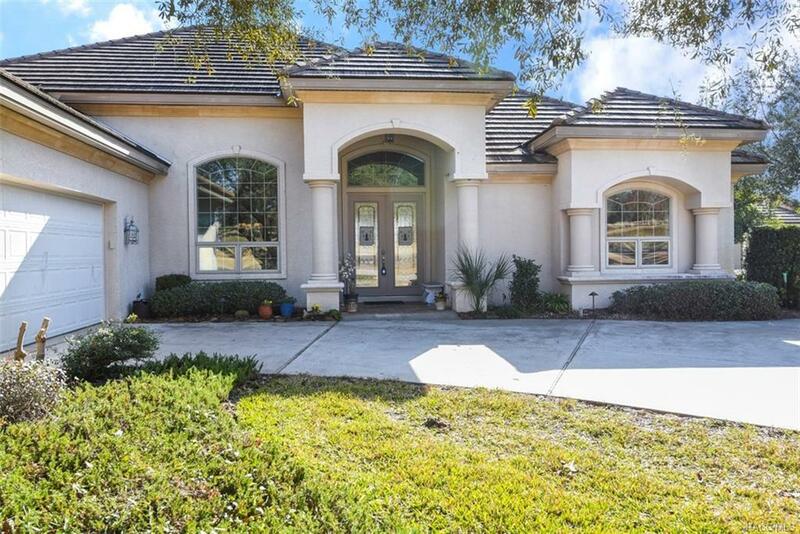 Gated community close to Tampa & Orlando. Near the Gulf: boating & fishing. 7 area rivers to kayak. Near Rails-Trails:bike, hike. If you are an avid golfer, top 100 Golf Course â¦ TheâQuarry Courseâ¦Black Diamond Ranch is the place to live and play golf in Citrus County! Memberships optional except the HOA! Directions: Continue On Black Diamond Circle Straight From Gatehouse To Prestwick Village (About A Mile Down) . Turn Into Prestwick And Then Left On Carnoustie Loop To Home On Down On The Left. © 2019 Citrus County Board of Realtors. All rights reserved. Information deemed to be reliable but not guaranteed. The data relating to real estate for sale on this website comes from Citrus County Board of Realtors and the Broker Reciprocity Program.sm. Real estate listings held by brokerage firms other than Black Diamond Ranch are marked with the BR logo and detailed information about them includes the name of the listing brokers. All measurements and all calculations of area (i.e., Sq Ft and Acreage) are approximate. Listing broker has attempted to offer accurate data, but buyers are advised to confirm all items. Information last updated on 2019-04-22.